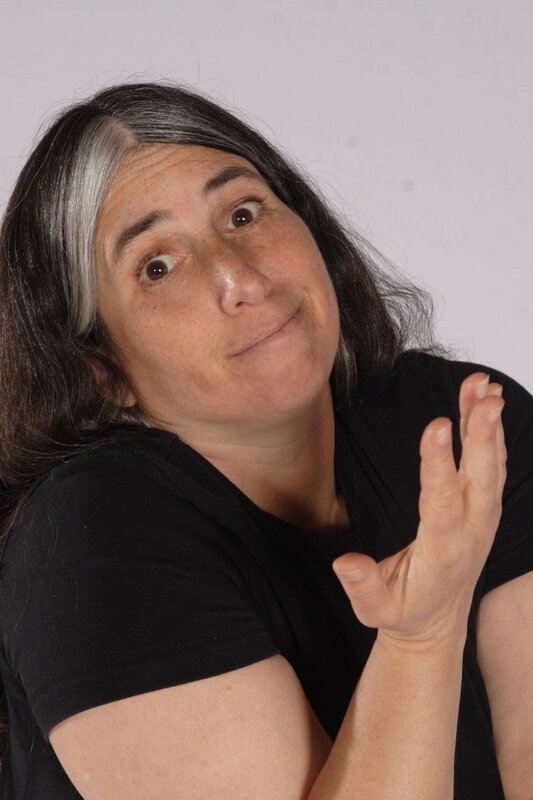 Berkeley, CA… Bay Area comedian/comedy producer, Lisa Geduldig (of Kung Pao Kosher Comedy), and Ashkenaz Music & Dance Community Center joined forces last Fall to bring the East Bay a new monthly (the second Thursday of the month) comedy series Comedy at Ashkenaz! featuring a different line-up each month. Mary Carouba is a comedian, performance artist, and professional speaker. She is also the co-author of the highly acclaimed book, “Women at Ground Zero: Stories of Courage and Compassion.” Drawing on her Arab-Irish roots, her turbulent yet strangely funny childhood (her Irish-Catholic mother describes Mary's childhood as a "test of my faith"), the drama of 9/11, followed by a near-death experience and subsequent liver transplant, Mary likes to ride the razor's edge of tragedy and comedy and take audiences to places they've never been. Mary’s house recently burned down in the Sonoma fires, and she takes it as a sign that something is truly, deeply wrong with her that it’s put her in the mood for comedy.